I have a block pad of patterned paper I recently bought and I'm looking for something to do with them- and found your blog that way. Love the cards you made for this challenge. 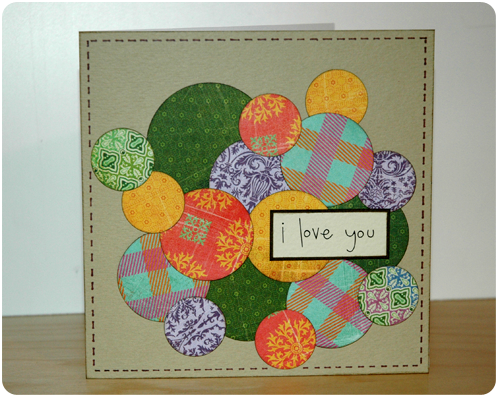 I have a question: for the larger cards, did you have the patterned paper only on the front or did you stick/glue it to the whole cardstock paper front and back? (Basically, what did the back look like?) Thanks! 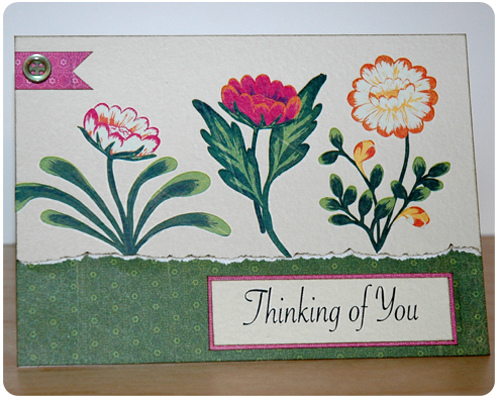 To assemble my cards I use a white sheet of cardstock which I cut to size and fold in half. 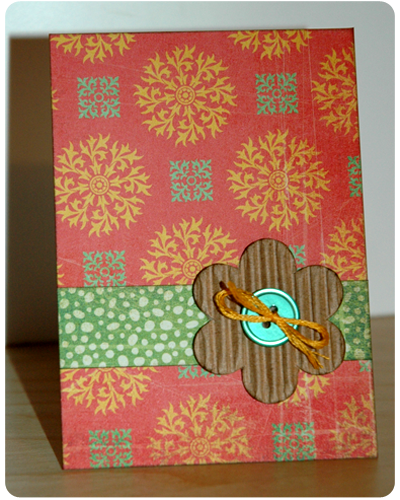 I then attach my patterned paper to the front of the card only, leaving the back of the card blank. I use less patterned paper per card this way. Hope that helps. Have fun making your cards.